So we want to understand your requirements as quickly as possible. Please fill in this form, then click “Send.” We’ll get back to you when and how you prefer. Spending 5 minutes on this form will likely save us 30 minutes on the phone. Thank you, and all the best with all your projects! 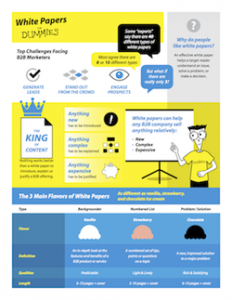 Has your company ever published any white papers? Do you have a designer good at editorial design? Do you have an artist good at graphics? We will carefully review your answers, and follow up when and how you prefer. Any further message to That White Paper Guy? Where did you hear about That White Paper Guy?